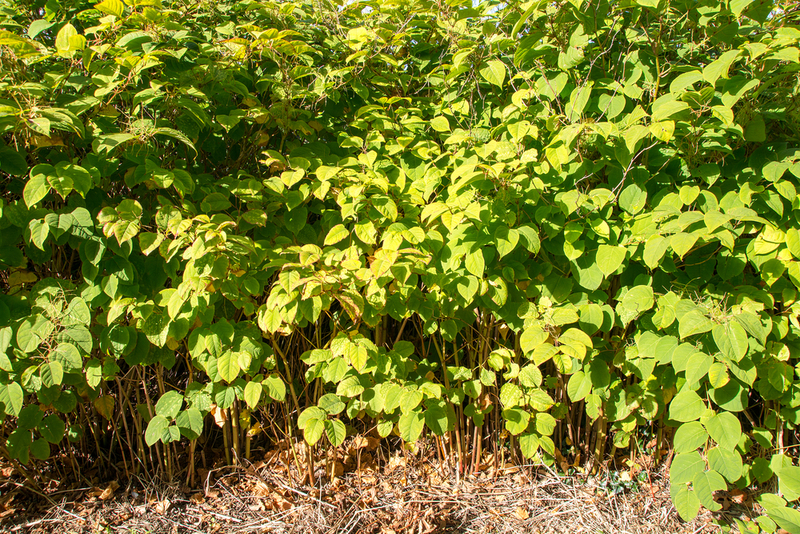 Can I Sell My House if Japanese Knotweed is growing in My Garden? Does your house need vegetation clearance in Manchester? Or maybe your property is infested with Japanese knotweed in Manchester. Whatever the case, we offer a wide array of services from tree surgery in Manchester to surveys and more. But if you are considering selling your property it is important to ask yourself if you can sell it with a Japanese knotweed infestation. In many cases, mortgage companies have to be aware of the infestation and they may, in fact, take a different attitude to it than you do. Not long ago, knotweed would immediately result in a refusal for a lender. However, today not too many lenders will avoid lending to you if you have Japanese knotweed in Manchester. This is good news, considering many homeowners are suffering from knotweed problems. If you shop around for lenders you are bound to find one that is suitable for your needs. Before you do, however, investigate how close your knotweed is from your home, it should be no closer than 7m from your home. If you can use a quality herbicide program to remove the Japanese knotweed from your garden. Of course, even if your property does have knotweed that is closer than 7m from your home that doesn’t mean you cannot sell it. It is possible that a mortgage company will offer financing, so long as no damage is already existing to the property and structure of your home. Mortgage companies also prefer you have a herbicide treatment that includes insurance for the infestation with warranties to protect the home if the treatment fails. You also have to have the treatment from a professional, such as Bark and Branch. For more information about how we can help with tree surgery in Manchester or vegetation clearance, contact us today we’re happy to help.